A Gambian Returnees organisation, named Youths Against Irregular Migration comprising of returnees from Libya have called for an end to irregular migration, locally referred to “Backway” during their caravan tour raising awareness of the perilous journey. YAIM is currently halfway through their 10 days caravan sensitization tour of the Lower River Region focused on creating awareness among young people village heads, religious heads, women leaders and other pertinent stakeholders on irregular migration. Besides the advocacy work on the dangers of irregular migration, YAIM aims to improve the lives of Gambians through poverty alleviation and income generating initiatives that can change the lives of returnees through entrepreneurial skills. YAIM Sectary General, Mustapha Sallah said “the 10 days caravan will avail them [YAIM] the opportunity to interact and share with their fellow young people in rural Gambia most of whom are affected by the irregular migration syndrome. We will challenge the government, NGOs, and the international community to consider YAIM and to join us in the fight against irregular migration”. According to SG Sallah, the tour helped them to discuss issues that affect young people and returnees to create sustainable employment and contribute which can contribute towards national development. “We are determined to change the narratives and play our part in the dispensation of the new Gambia” he noted. Sallah said “irregular migration has caused a lot of devastation on families, while the movers would have the notion that they cannot make it here and traveling to Europe through the high seas is the only solution for them. We regretted embarking on this perilous journey because many of our brothers were beaten and some were killed in our presence while others died of hunger and starvation” he lamented. According to him, they left the Gambia with the dream of greener pastures in Europe and the chance of starting fresh with better living conditions for their families due to the hardship they faced in the country. However, the deadly traps of the irregular migration route robbed them off this happy ending. The luckiest ones are the few who make through to Europe, manage to regularize their status and find work to send money back home. The unlucky ones are those who lose their lives through the journey and face all manner of human rights violations. 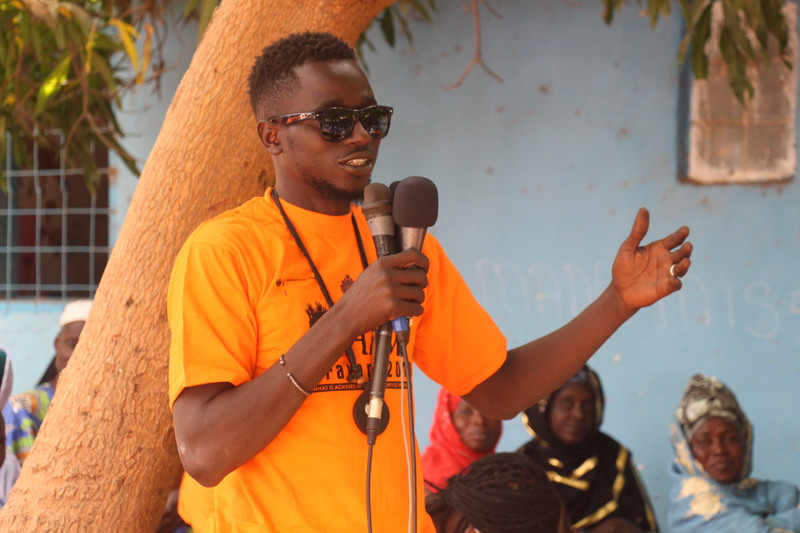 Most YAIM youths have experienced life-changing acts of violence, however, they still have their future ahead of them which they wish to build in the new Gambia.